Press , then left option. Choose right option, then continue. Manually skip with , then scroll down this page, then press . Input "HERO" and select Enter on the page. Choose right option, then continue. Manually skip with , then switch pages with . You have to input several words in Japanese. Carefully compare each character, select it, then select again (it will take you to a small section where you can pick variations. With two exceptions, it's always the first). When you're done, press , then left option. If you got it right, it will return you to dialogue. 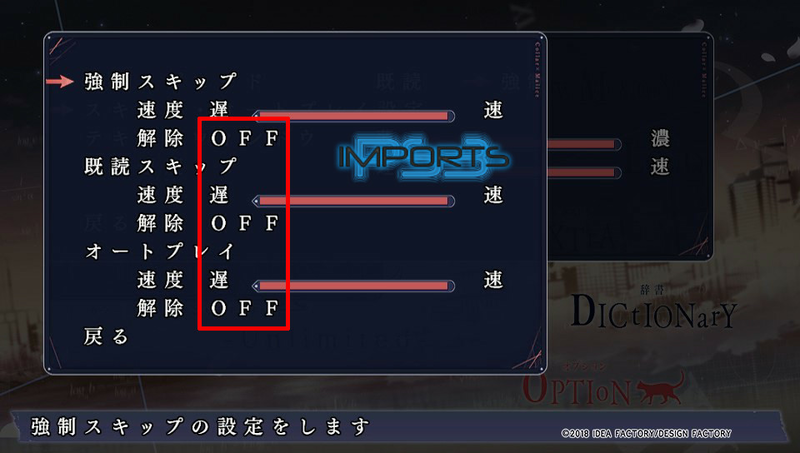 If you got it wrong, it will have a small pop-up and return you to the input screen. Keep in mind the letters in the game are slightly stylized. Yep, you have to input those words again. It's exactly the same, so refer to the previous section. You eventually get a page with 9 character portraits. Go around each character and skip through the scenes. Repeat this until the trophy pops and you're returned to the Title Screen. A new portrait with "0" on it has appeared. Don't select it yet. Now we want to repeatedly select a character. After playing through a character enough times, their respective trophy will pop. There's no order, so choose whatever you want and play until the game sends you back to the Title Menu, then repeat. You'll know you've finished a character when their portrait is blacked out. Play all three available stories, "ONWARD", "Pride", and "Crossroad". 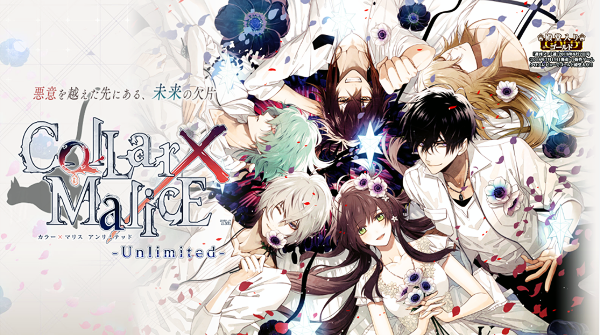 Their second parts will be unlocked and automatically cleared as you play. On the Title Menu, go to Extra. Select the first option, then Album. You'll get a new CG and some pop-ups. Switch pages with until the trophy pops. Back out with and return to the screen with the black-haired man. Select Short Story and play through it. Again, switch pages with and do this with all characters. The sixth page has randomized images of characters, and 6 short stories. Play through all of them. Back out with and return to the screen with the black-haired man. Select Leaf and play through it. Choices don't matter. Do this for all five characters. For the green-haired guy, you need to press toward the end to advance. TROPHY #34 Love begets love. 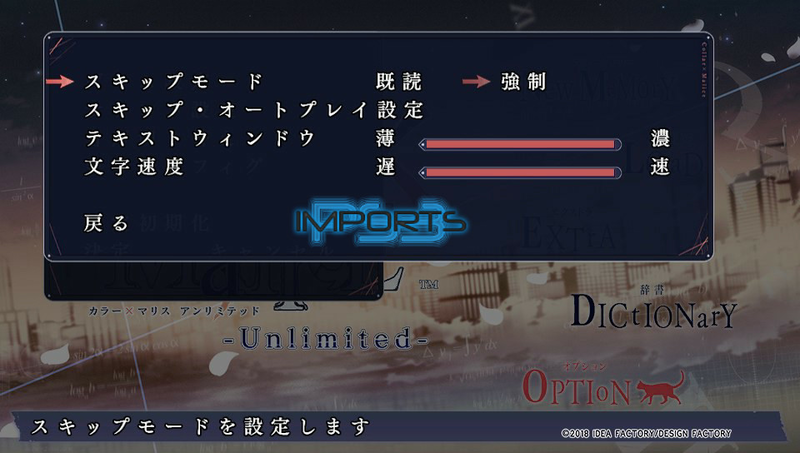 Now choose BGM on any character. Remember that sixth screen with random characters? You have to see all available characters on that screen, so switch back and forth with and until the trophy pops. Don't worry, shouldn't take more than a minute. Return to Title Menu and select New Memory. And you're done! Let me know if there are any mistakes in the guide. thanks for the input! I'll replay it tonight and fix the choices (and double-check the time, I figured 3 might be too high). Edit: Fixed the misnumbered choices and edited the approximate time. thanks for testing that! i edited the guide. Please help don’t understand where to go for trophy 36 ??? I believe its the character screen you see for trophies 32 and 33. RD is correct, it's the character screen after going into Extra on the Title Screen and selecting "Others." It's the only screen without "Leaf" as an option. You just have to switch back and forth with until you see all the different characters on that screen.